This guide documents analytics with Red Hat 3scale API Management 2.2. You can find the application from the Developers or Applications tabs or by searching as described in the finding applications tutorial. On the screen shown in the screenshot above, you will find a breadcrumb like this on top of the app’s name: "Account 'account' > Application 'application name' > Analytics. Click on Analytics. 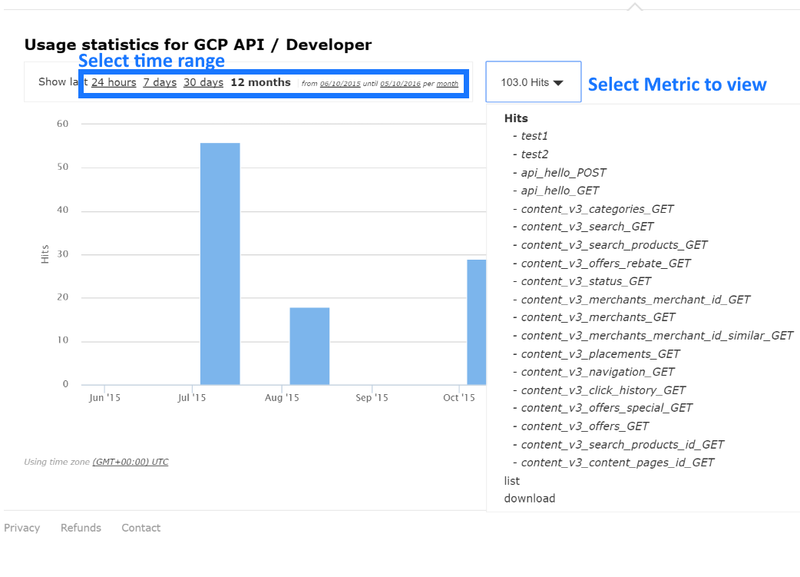 This will take you to the usage charts view for the application as shown in the image below. 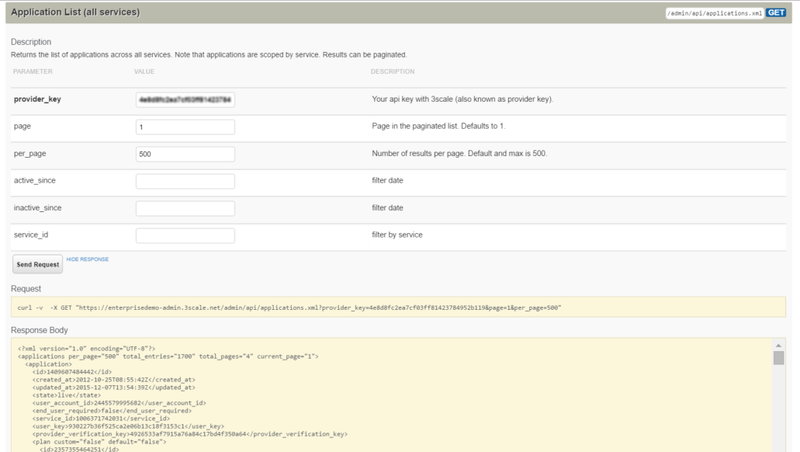 This tutorial shows how to set up and use the response codes log in the 3scale system. Walk through the configuration steps and see how to use this feature in the long run. Setting up response code logging is really simple. To enable this feature, just set the APICAST_RESPONSE_CODESenvironment variable to 1 or True. 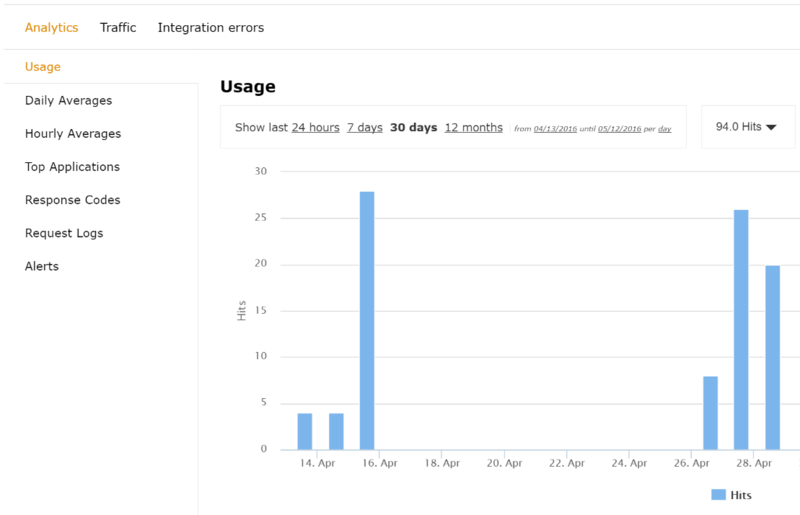 If you’ve integrated your API with 3scale using the plugin or API, you will have to add some additional code. You won’t be able to use the authrep call here ecause the response code is known after receiving a response from the API itself. Instead, you will have to split the authrep into two separate calls – authentication, to authenticate the request to the API; and report, to report the usage and log the response code into the 3scale system. 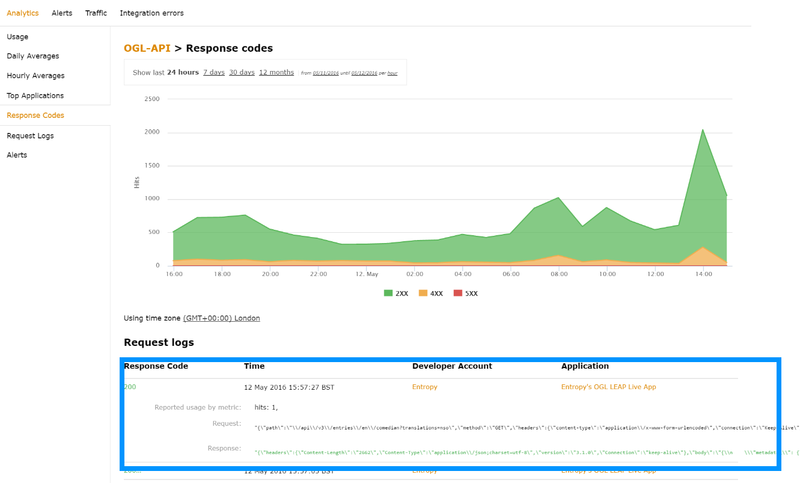 Since the code itself depends on the language, this example will show how the codes are logged in using the 3scale Service Management REST API. For the plugins, please refer to their respective GitHub repositories and adjust reporting accordingly to the RESTful example below. curl -v  -X GET "https://su1.3scale.net/transactions/authorize.xml?provider_key=PROVIDER_KEY&user_key=USER_KEY&usage%5Bhits%5D=1"
In other words, you have to report an additional transaction element, a code value part of a request log. The transactions means that this code value is a part of the first transaction in a batch (in this case we are reporting only one transaction). The latter part of the hash is referring to response code value of the request log. 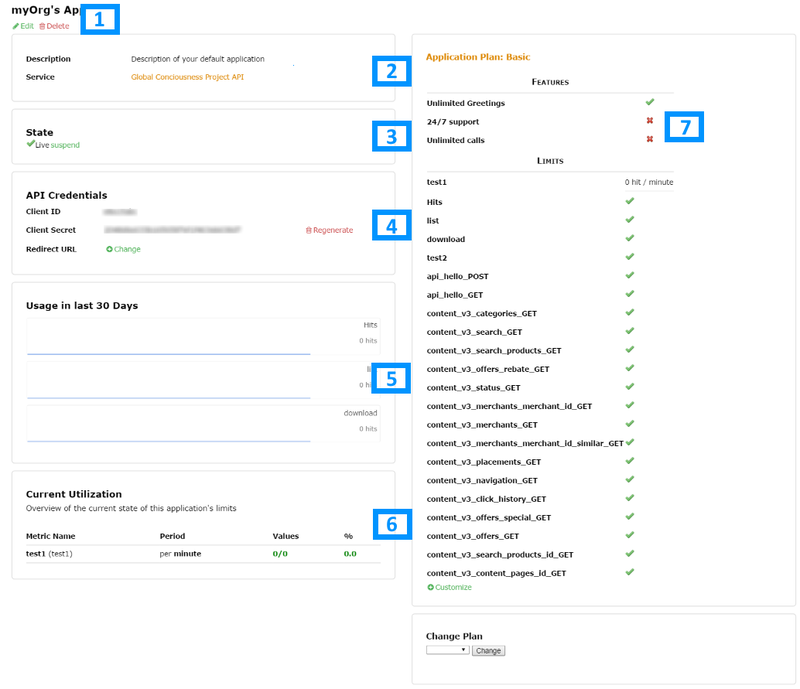 You have set up reporting response codes from your API to 3scale. How do you verify that it went well and monitor the responses? First you will have to call your API (through a 3scale traffic agent like NGINX proxy or plugin) with valid 3scale credentials. 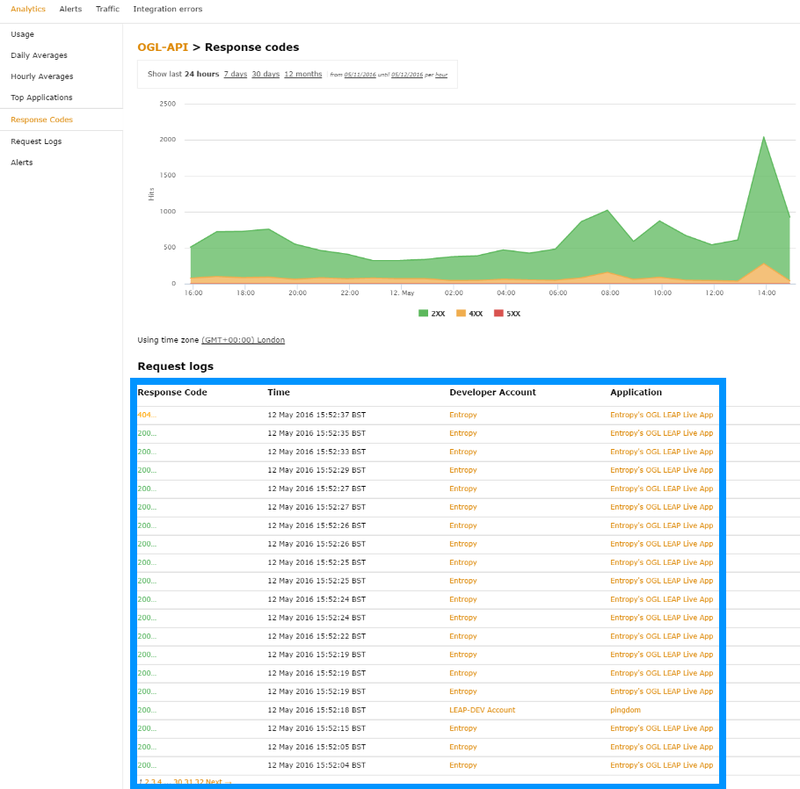 Then verify that the call was correctly reported on the Analytics > Usage page. If you click on the response code itself, you will see the details of the call, which is very useful if you’re trying to debug the API or find out the exact details of a particular call.